I was in KL to run an errand and finally managed to stop by LOKL to have early lunch. I always have the thought of doing something or going somewhere nearby whenever I am in the city. Like it's not an everyday thing to be here. So yeah that 'since I'm here I might as well...' thought. 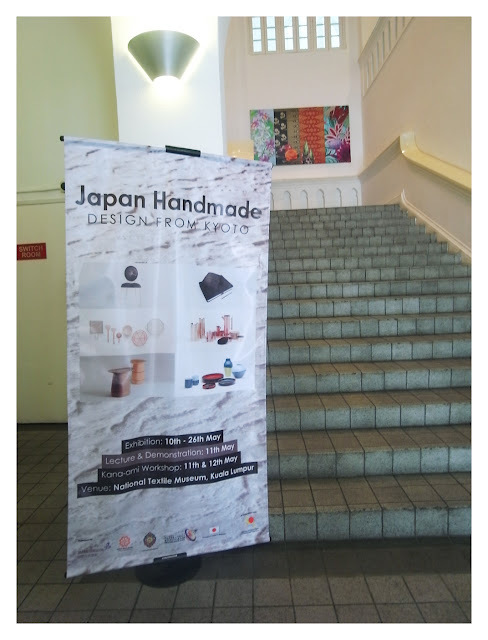 So I remembered there's a Japanese Design exhibition at National Textile Museum nearby Dataran Merdeka. I wasn't sure about the exact location, but I think it won't be that hard to find since it's situated along the busy road. So I walked from Masjid Jamek LRT station towards Dataran Merdeka. Walking down the busy road, the museum is on my left after seeing KL City Gallery on my right. 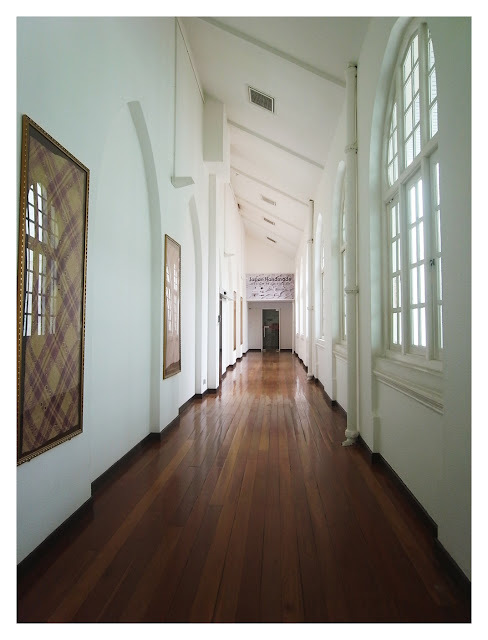 I have no idea about our National Textile Museum until I received newsletter (e-mail) from JFKL. 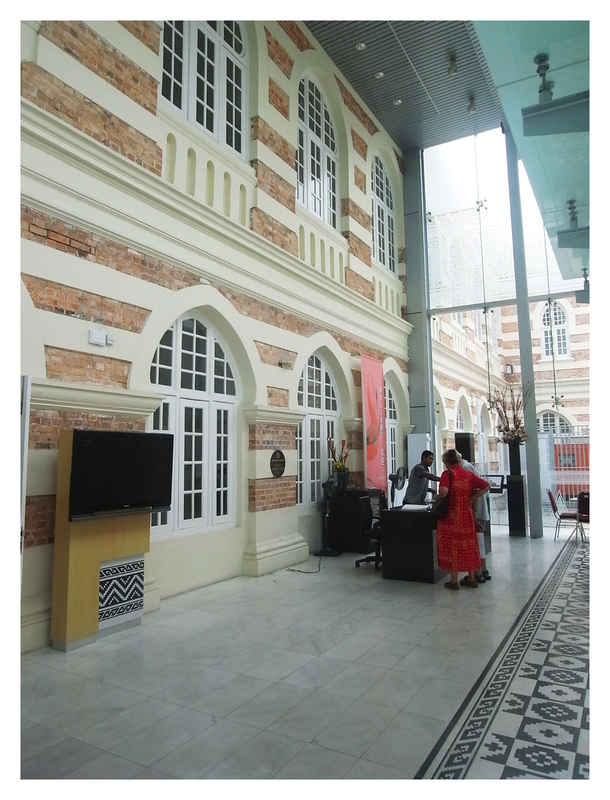 The museum is located in an old building that is previously occupied by the state railway. It's a bit like our national museum but at a smaller scale. Corridor to one of the gallery space, where the Japanese Handmade -Design From Kyoto exhibition is. The exhibition is going on from 11th-25th May 2013. It's free admission. The new lobby with is in glass structure adjacent to the old building. Afterthought: There were only 3 visitors including me on that weekday noon. The Japanese design exhibition showcases nice stuffs but quite limited. The other galleries are something like national museum, in a few separate rooms but no clear signage for what's on inside the galleries. The displayed items like textiles are pretty, but overall it's a little bit boring to view all of them. I like the batik gallery, but it was creepy inside with the mannequins while I was alone. The cafe and the souvenir shop are quite hidden. One has to be a curious person to walk every corner in the building to find out. I like visiting museums and galleries, especially interesting ones.